Combine All Emails into One PDF with the help of Coolutils! 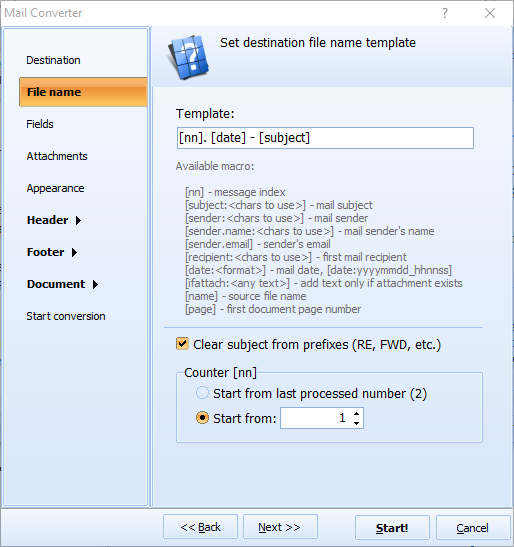 Total Mail Converter offers many different ways of exporting emails into PDF files. 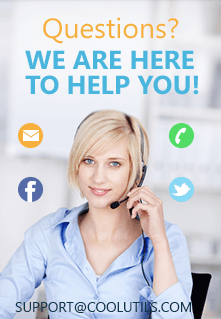 First, it can convert each email into a PDF file. Second, it can combine several emails into one multi-page PDF document. Go for the second option if you want a compact data backup from your mail client. This method of conversion will convert all emails into one PDF with the default settings (no attachments converted, no header & footer added, no compression or encryption). The program will just combine emails into multi-page PDF file, starting every email from the new page. Also you can include attachments inside this resultant PDF file, if they are images. The PDF copy will contain information from all fields of the original emails, attached images and messages. 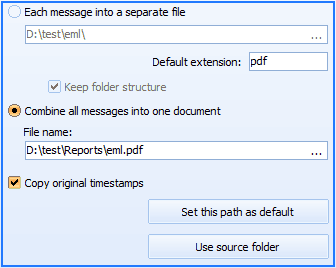 If you select 'Save in a new file' for attached messages, the program will save them separately in a new PDF file. You can also adjust the look and feel of PDF copy adding page counters, stamping bates, inserting your logo or qr code to every page of the output file. 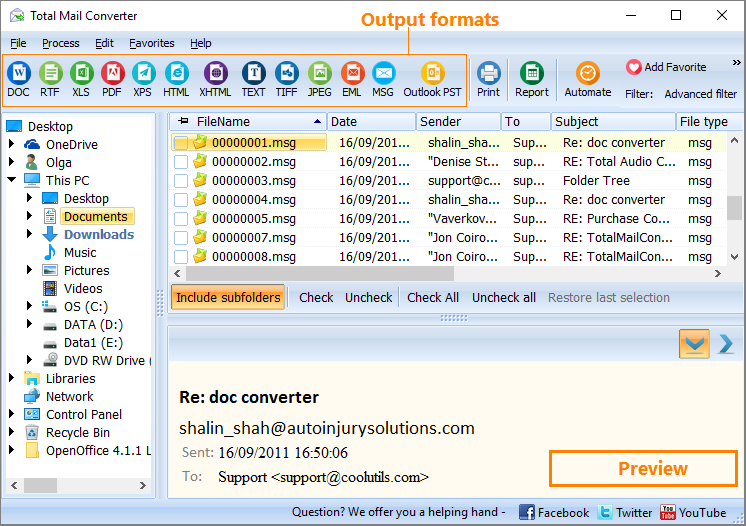 Total Mail Converter will help you to protect your PDFs from unauthorized use with master/user passwords. This will allow or forbid recipients to edit, print or modify your documents. 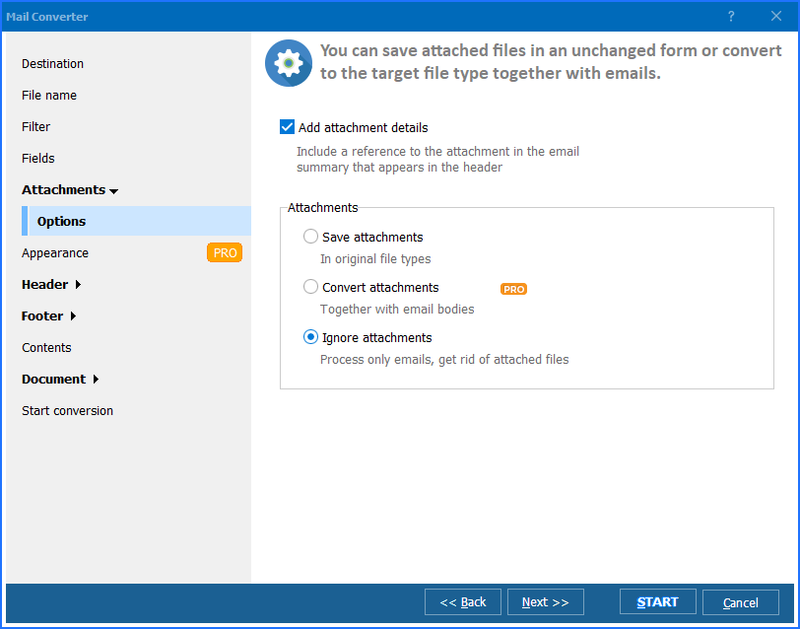 Total Mail Converter doesn't change original email files, it only creates their copy in a format you select. Try it in a 30-day free version before the purchase. Total Mail Converter runs fine on Windows 2000/2003/Vista/7/8/10, both GUI and command line versions.